For now, the RBI testimony attempts to address the belief that it was somehow arm-twisted into becoming a “willing accomplice that acted “without application of mind”. Contrary to popular belief that India’s central bank was somehow ambushed and steamrolled into supporting the demonetisation decision, it is clear that the institution and its leadership was fully involved in the decision making process for four months prior to the fateful day of November 8. Tantalising and revealing details of the history and origins of the proposal, the entire decision making process and the subsequent timeline is revealed bare in the written testimony proffered by the Reserve Bank of India to a Parliamentary panel – the Standing Committee of Finance – that is studying the move and its impact. Unless the central bank has chosen to commit perjury and provide wrong facts to Parliament, the present testimony is perhaps the most authentic version of its role in the entire saga so far (the narrative is bound to get updated when Governor Urjit Patel appears before the panel in January). For now, the RBI testimony attempts to address the belief that it was somehow arm-twisted into becoming a “willing accomplice that acted “without application of mind”. Its key point is that the present Governor alone did not take the decision – the entire institution was involved – and so was his predecessor. In effect, the entire edifice of the ivory tower was fully involved in the planning, execution and there was enough time to consider all ramifications – given that the entire data and understanding of currency operations lies within the RBI itself. May 18, 2016: This was the day when the central government decided to introduce notes in a new denomination of Rs 2000 in value. No one had suggested a note in this denomination prior - itwas lower and different from the Rs 5000 and Rs 10,000notes sought and proposed by the RBI in the autumn of 2014. May 27, 2016: The RBI acted upon the centre’s advice and recommended a new series of bank notes with new designs, sizes, colors and themes including notes the new Rs 2000 denomination. 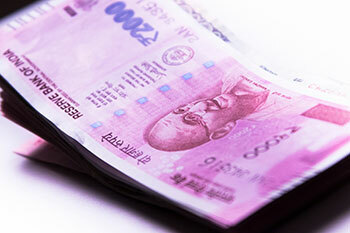 Also included was a new Rs 500 note – in the Mahatma Gandhi (New) Series. June 7, 2016: Following consultations within, the government gave its final approval to the introduction of the new notes. The files kept moving rapidly. A week or so June itself, currency minting presses were advised by the RBI to initiate the production of the new series notes. It was at this stage itself that a decision to print “large” quantities of Rs 2000 denomination notes was taken so that “such new notes could be issued simultaneously across the country”. Raghuram Rajan remained the Governor and Urjit Patel was his able deputy for the next three months before becoming the 24th Governor. Let us move on to two other dates that proved to be fateful. November 7, 2016: It was on this day that the government “advised” the RBI to “consider” the withdrawal of the legal tender status of Rs 500 and Rs 1000 notes. The centre advised the RBI to “place these matters of immediacy before the Directors of the Central Board of the RBI for consideration as per provisions of Section 26 (2) of the RBI Act, 1934”. November 8, 2016: The central board of the RBI met to consider the government’s “advice”. The board noted that a “summary measure with high and lasting impact in the form of withdrawal of legal tender character of these high denomination bank notes to contain the menace of counterfeit notes is proposed by the government”. The Board observed that such a proposal could not have come at a more opportune time than coinciding with the introduction of the MG (New) series of notes – “with these the existing banknotes can be summarily withdrawn and the new design notes with more counterfeit resistant features be introduced”. The testimony proves valuable in offering more insight into what transpired at the RBI Board meeting. Board members took caution in noting that the proposed action “would result in non-availability of these (Rs 500, Rs 1000) denominations for the public for transaction and store of value purposes”. They also underscored that “it might not immediately be possible to replace the old notes fully – in terms of both value and volume on one-to-one basis within a specific time”. Yet, the Board chose to recommend to the centre to withdraw the currency. Why did it do so? The testimonynotes that the Board went ahead with recommending the move as “the stock of Rs 2000 denomination notes were arriving in RBI offices and were being dispatched to currency chests across the country and that could enable meeting a significant, critical portion of the physical demand in value terms”. History will judge the institution of the RBI and its present leadership. Events of the past couple of months will leave a lasting footprint on the economy. At the moment, all that can be said with a reasonable degree of certainty is that the RBI and its views played an extremely important role in convincing PM Modi that demonetization would yield a massive dividend. The author Siddharth Zarabi is Executive Editor, BTVi.